offers a high level of education, excellent living conditions and a tolerant multicultural society. practical and better adapted to the needs of trade and industry. Government. This shows that the education system is fully controlled by the Australian Government. long made Australia their place of study. 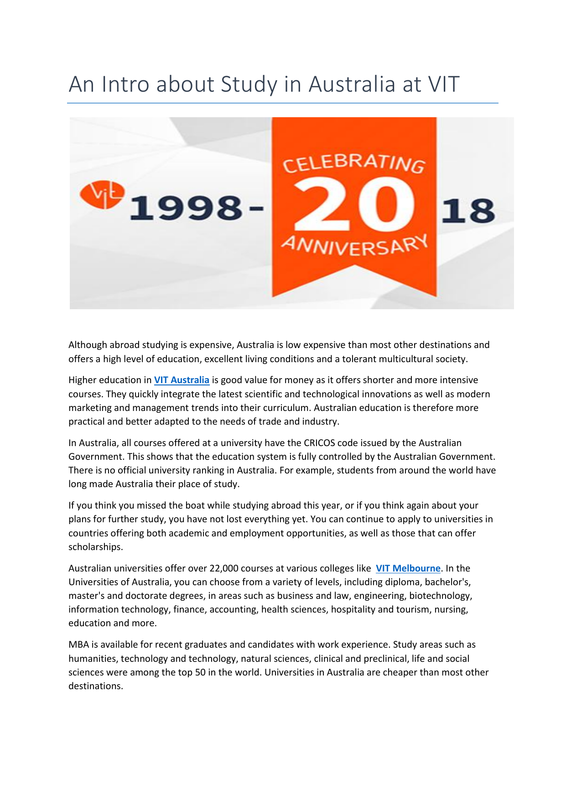 programs, see the Study in Australia section. information on the colourful history of Australia.